Consumer advocates are urging the U.S. Food and Drug Administration (FDA) to move swiftly to prevent any more pets from becoming sick or dying from tainted treats produced in China. Food & Water Watch and pet food safety advocates Mollie Morrissette and Susan Thixton asked FDA Commissioner Margaret Hamburg in a letter to take stronger actions on the issue and submitted a petition signed by nearly 18,000 consumers. Over the last five years, thousands of dogs have become sick or died after eating jerky treats made in China. 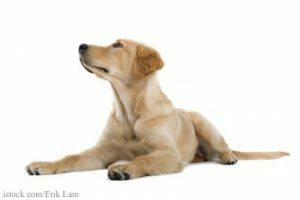 But although the agency has performed numerous tests on the treats, it has been unable to discover specifically what about them makes dogs so sick. Private diagnostic labs will now begin testing the treats to see if they can find anything the FDA has missed. Recently, the FDA revealed that, in April, while the agency’s inspectors were in China to inspect the manufacturing plants, Chinese officials refused to let them collect samples of the treats for independent analysis or inspect the poultry slaughter facilities that produce the meat from which the treats are made. No specific brands have been identified as problematic. Until more information is available, consumers should avoid buying dog or pet treats made in China.